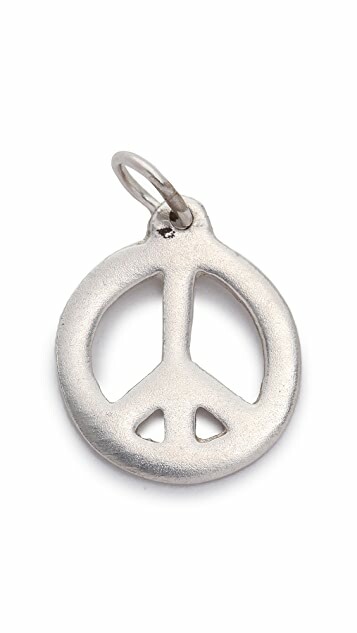 This sterling silver charm features a cutout peace sign. 1/2" wide. Nice as part of a collection of charms. Good size, simple. Bought this for my 15 year old niece she loved it. Perfect gift or for yourself. I own Helen Ficalora in gold for myself. Neat charm...but worth the money? I absolutely love this charm, as I am a huge peace advocate (you could say I'm a modern day hippie!) It's the perfect size and not too heavy or bulky for any dainty chain....My only question to myself...is this charm worth $55? Probably not. 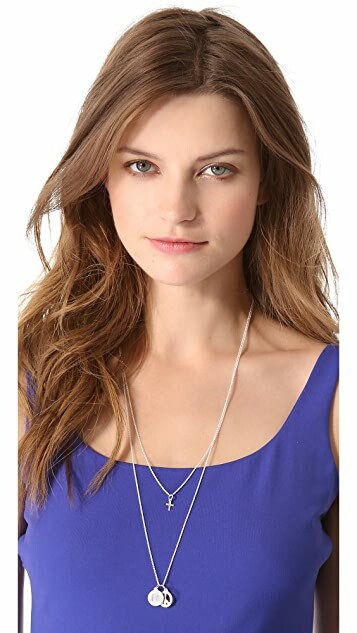 I think if it came with a chain I could probably justify the price a little, but I almost feel like it's something I could find in the mall for a lot cheaper and same quality...But, despite that concern, I am probably keeping it, since I had a gift certificate! And I know I will be wearing it every day! got three charms and necklace. Exactly what I wanted. Happy with delivery and price. Will buy a few more charms.